To blog or not to blog. That is the question. How easy is it to concoct something about a race that will be wiped from the record books (but not our memories) and try to make it meaningful? 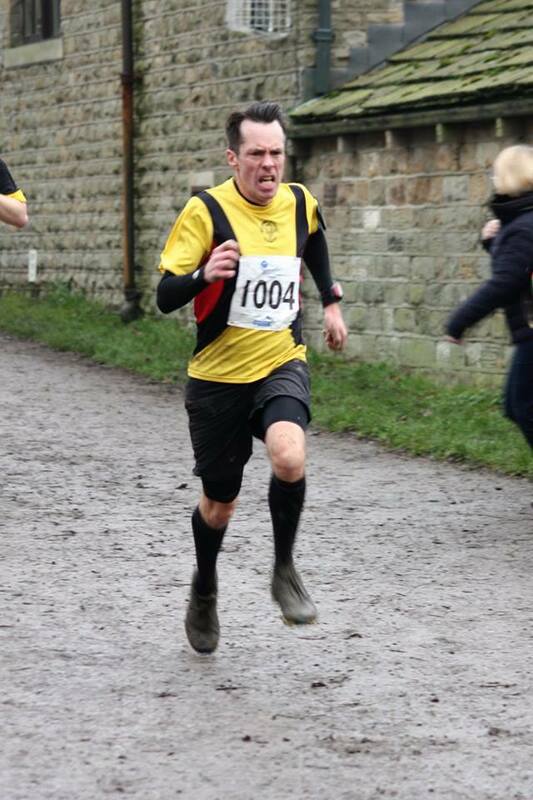 For those of you who are already losing my drift, the event in question was the fourth round of the West Yorkshire Winter League, the venue being Oakwell Hall, the hosts the Stadium Runners. 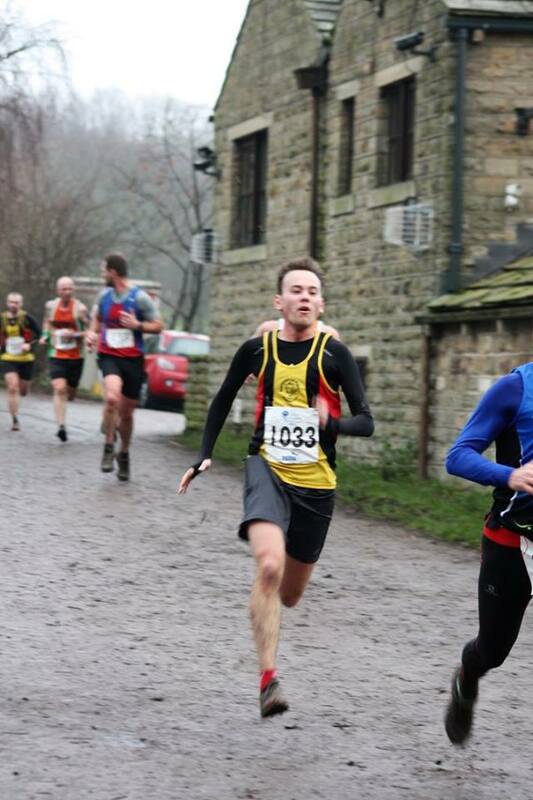 A course that had been carefully planned out, marked out and heavily marshalled, and with Oakwell Hall familiar to many runners who’ve taken part in the parkruns there, the stage was set. What could possibly go wrong? Needless to say, discussions amongst the race officials went on long into the night to determine just what did go wrong. In the end, it seems, the race was sabotaged by one or more unknown suspects, causing most of the runners to take the wrong route, run further than they should have done, and ultimately render the event meaningless. If it’s any consolation, the best laid plans have been kyboshed on bigger and grander scales. Take the 1993 Grand National, for instance, where some of the runners and riders set off in haste, some of the horses draped in the starting tape, with the starter and officials trying to flag down the field. The race was declared null and void. But still, there were plenty of things to talk about. As there was on Sunday. 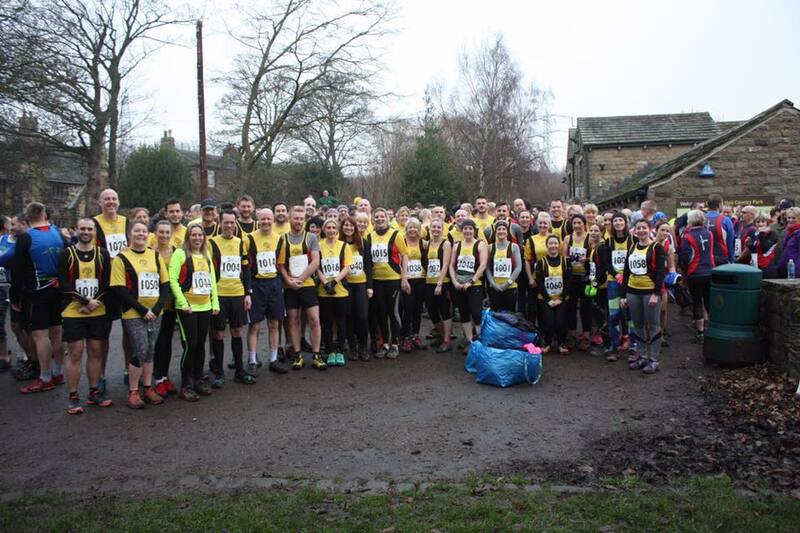 With Oakwell Hall being local enough – indeed, many of our runners have regularly participated in the Saturday morning parkruns there – there was no real need to call upon the Pumas On Tour Express. If we had have done, you may have heard someone suggest in Brody-esque tones, “You’re gonna need a bigger bus.” For in total, a whopping forty one Pumas made the short trip across to take part, the largest field put out by the club. It was quite a sight. The photographers had to stand way, way back to fit us all in on the customary commemorative pre-race photo shoot. The fun started when all the runners, nearly four-hundred of us, were told to assemble at the starting point. On a relatively narrow stretch of path, so many were itching for pole position. So much so that many edged over the line, the starter almost helpless as he tried to force the scrummage to push back. In many ways, it was totally reminiscent of that ’93 National. I stepped out of the pack and took a position on the grass verge, thus avoiding any trouble, something that stood me in good stead for the initial charge once the race had started (but not much more after that). The course took us directly up the path from the start, then, as on the parkrun route, a sharp right through the woods. We wound our way downwards, then veered off left to make our way back up the slope. On the starter’s orders, one could say that I got off to a flyer, having the distinction of being the first Puma to turn onto the first trail section in the woodland, though I was soon passed thereafter by Luke Cranfield… Tim Brook…Robert Shirlaw… Andy Haslam etc.. Need I go on? But it was soon after this that things started to go awry, though few of us would realise at this stage. Like sheep, we just followed the line in front of us. We found ourselves climbing some steps up the woods, negotiating a couple of stiles which, so early on, forced the inevitable bottle-neck. But onwards we charged, through the trees before finding our way into daylight and the open fields, through another stile, then entering another trail section which ran parallel to the M62. Thankfully, this was a downhill and flat section, although there was a catch. The starter had warned us that there was something on this route for everyone, including plenty of mud, which we all love. To be honest, I thought I’d earlier passed the section to which he was referring. But this paled in comparison with the section I soon found myself slugging through. Not for nothing did it lend itself to the title ‘Muddy Hell’. Depending on your size (and I could feel for Paula Snee here) it was literally ankle deep, almost as if it had been shipped in purposely. It goes without saying that several runners had their shoes sucked off their feet, Andy Haslam one of the victims. Around me, runners were looking for the shallowest point, as if there was one, and though I survived it, little did I realise that I would be wading through it once more in a matter of minutes. Already, my legs were feeling drained, and the field which we ran into it and rose gradually did little to alleviate the suffering. We reached the top and bore a left, down through woodland once more. Having been passed by several other Pumas en route, I was soon caught by Matt Newton, and we ran together for a while until he pulled away briefly. It was around this point, however, that the second error was made by the competitors, for whatever reason. In hindsight, I’m sure we should have turned a sharp right at some point; instead, we found ourselves back on familiar territory. A kissing gate, then a field, then some trees, then all of a sudden, we were back at Muddy Hell. Here, I was beginning to feel something wasn’t quite right, my concerns backed up by further clues along the way. As we ploughed our way through it, one girl was heard to remark, “Should we be going through this again?” When we climbed the field on the other side there was a marshal asking the runners if they were on their first or second lap of this loop. Seemingly we were now mingling with runners who hitherto had been behind us. 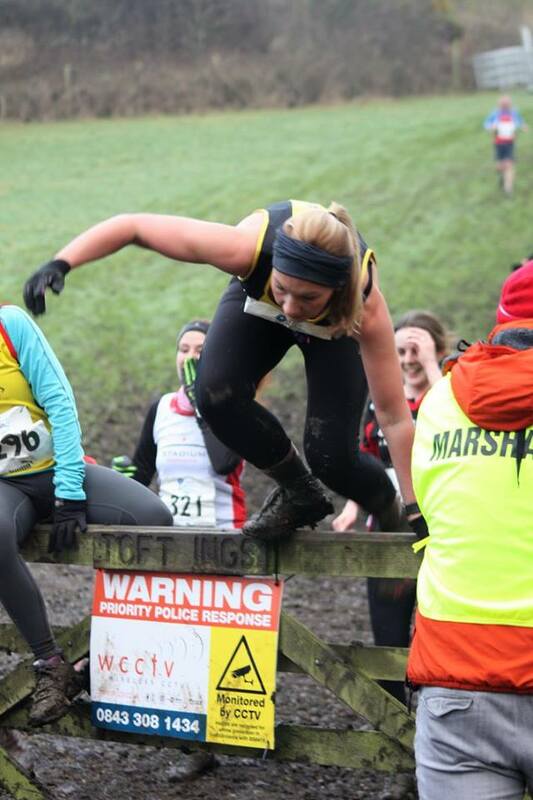 The race organisers, I can only imagine, had realised things had gone terribly wrong by this stage and decided to send all remaining runners through the mud twice. Now, instead of turning left, we turned right and headed down towards the southern section of Oakwell Hall. But not without further hazards. Rightly or wrongly, we entered another field, at the top of which was a gate – closed. As I neared it, I couldn’t help but wonder why it was shut, and whether, in fact, we were meant to cross it at all! Blimey! This really did have all the hallmarks of the Grand National. We waited our turn to climb over it, then without further ado, went on our merry way. I’d caught up Matt by this time, and having asked if he knew how far there was to go, he replied that, according to his Strava device, there were 1.6 miles left. But that figure was surely based on the real route, and in any case, his Strava was now going into meltdown. We entered a section which at long last had that old familiar look about it; a trail lined by trees, downhill. It was the reverse route of part of the parkrun course, and for once I got my bearings. The finishing line couldn’t be so far away now. But we were still being asked questions about our resolve. Having joined the tarmacked path which took us past the playground, we were then directed left in order to circumnavigate a large field, frustratingly rising up the left side. I was passed by Tom O’Reilly, and by this stage, all thoughts of myself having a decent finish had given way to just getting around the course. I really must do some more hill work. Running down the other side of the field was easier, but having followed Matt along the pathway, I was on my knees as I staggered up some steps into some parkland, then followed the marshal’s directions back into woodland. We followed the trail, then, at last, the turn for home. I could see Matt, who had pulled away, about one hundred yards in front of me crossing the line which was positioned a little further back than the normal parkrun finish. I made a bolt for it, endeavouring not to be passed, and crossed it in a state of near exhaustion. Minutes later, however, I was told that mine and everyone else’s efforts had all been in vain. It must have been soul destroying for the Stadium Runners who had worked so hard to plan and prepare the route, only to have it decimated by spoilers. Closer to home, the Puma most aggrieved was Tim Brook, who was the first of our runners home, beating Luke Cranfield by seven places. The video of the finishers made for some smashing viewing, though, and there were some impressive finishing bursts, not least that by Carine Baker, who somehow managed to shrug off the excesses of the weekend to burn off several rivals in the final few yards, though it was Diane Cooper who had the distinction of being the first female Puma home, just holding off a late challenge from Skipton’s Jayne Butterworth. Andy Haslam’s expression depicted a runner who thought the finishing line was getting away from him, sharply contrasting Liz McDonnell’s, who could afford a smile as she crossed. Elsewhere, Richard Baker left it late to surpass Kirsty Edwards, Gill Holmes proved to be something of a dark horse, whilst Andrea Warrington and Johanne Clay crossed the line hand-in-hand. And there was a glut of Pumas finishing so close together, among them Neil Coupe, no doubt ensuring none of them got lost any further. The video does give the impression that the last competitor home was our very own Laura Fairbank, but this, in fact, is untrue. That honour fell to Peter Yates of LBT (Leeds & Bradford Triathlon Club), but the tape must have run out by the time he came into view. 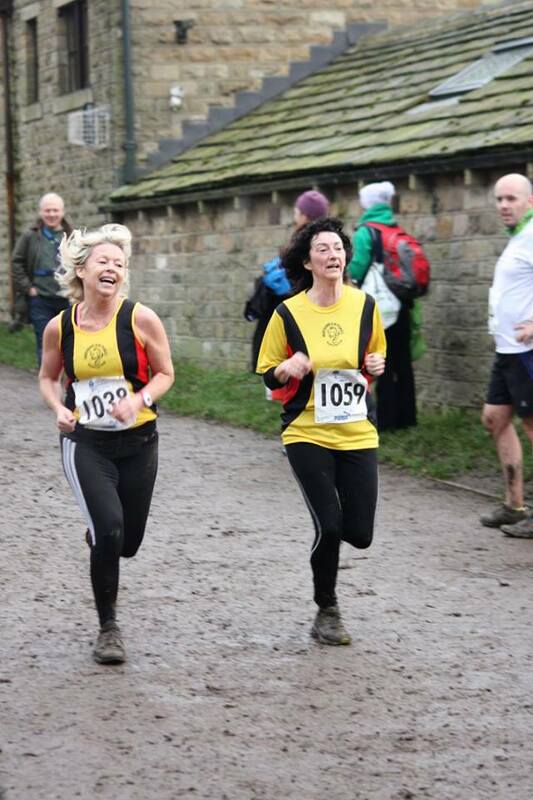 In any case, the last person home should have been the tail runner Nikki Hill, who, as we saw at the start, left at the back of the field with Idle’s Ana Lincoln, almost at walking pace. 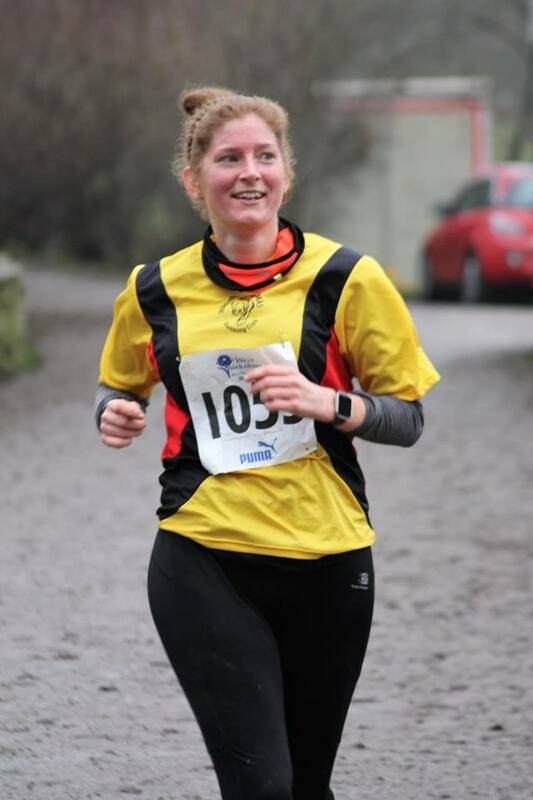 My unofficial list had the tail runner home in 339th place – with fifty-four runners behind her! Anyone with a vivid imagination might liken it to that classic fable ‘The Tortoise and the Hare’. Yes, something had gone terribly wrong, and the organisers had no alternative but to declare everything null and void. * Denotes first Winter League race. Copyright © 2019 Northowram Pumas Running Club. All right reserved.